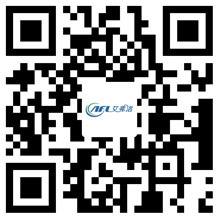 Centrifugal Fan Typical Installation Process - Hangzhou Airflow Electric Appliances Co.,Ltd. 1, equipment inventory, check: check the discipline name, model, machine number, drive and support the way, the direction of rotation, outlet position and so on and drawings are consistent. 2, impeller: check the direction of rotation of the impeller, bending direction is consistent with the technical requirements of the equipment; blade welding defect inspection; riveting quality inspection; impeller axial radial beating no more than 2mm. 3, shell: welding without defects; flange surface formation; bolt holes evenly distributed; inlet and outlet consistent with the impeller and meet the technical requirements. 4, the base frame: the base frame surface formation; anchor bolt hole and design consistent with the foundation. 5, the spindle: bending check; excessive area arc; no cracks; keyway and key on both sides of the gap without the top 10-40 wire. 6, bearing and bearing: bearing grades; bearing clearance appropriate; bearing and shaft assembly; bearing and bearing seat with Germany and contact with the appropriate; tightly sealed tank. 7, adjust the baffle: flange surface formation; bolt hole and the flange of the flange flange match; switch flexible and reliable; opening instructions correct and clear. Installation of the basic principles: as far as possible assembled into components, and then in place to install. The installation process: 1. basic preparation - 2. under the chassis - 3. spindle components - 4. anchor bolts secondary grouting - 5. anchor bolts - 6. axis horizontal review - 7. the upper cover - 8. the collector- 9. adjust the door - 10. motor - 11. the second grouting - 12. tight school anchor bolts - 13. alignment review.